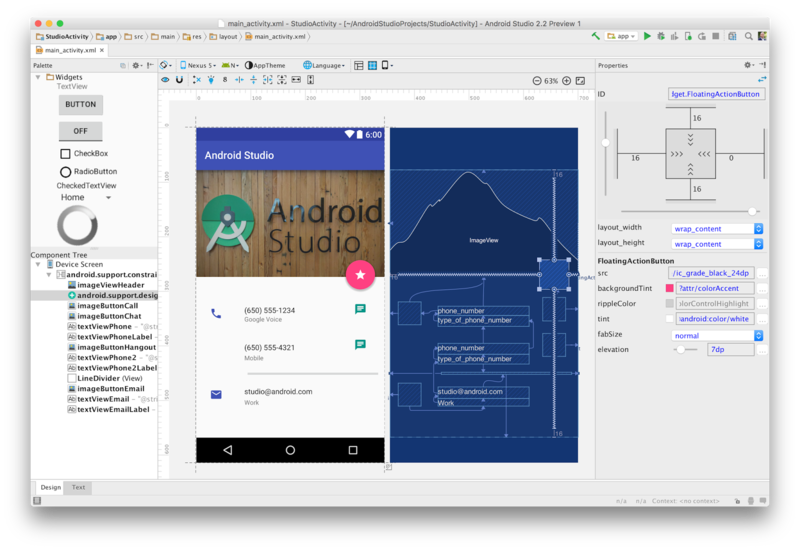 At Google.io, along with the announcement of VR Mode in Android N, Google announces a preview release of Android Studio 2.2. Android Studio is a free IDE for Android development based off the popular IntelliJ Java IDE. In this “A Closer Look at”, we will be taking an in-depth look at the Stencyl game engine. The Closer Look At series is a cross between a preview, review and getting started guide and should help you determine if a game engine is right for you. Stencyl is a cross platform 2D game engine with tools that run on Windows, Mac and Linux and capable of targeting all of those, plus Flash, Android and iOS. Stencyl is free to use for the Flash target with additional platforms coming with a fee. Stencyl provides a high level Lego block type programming experience but coders need not fear, you can drop into code easily if you want. Amazingly enough, you may find you do not actually want to! There is an HD video version of this guide available here. It comes with a sample game included and one nice feature of Stencyl is the ability to seamlessly download additional assets from their website including additional examples and editor extensions. Once you’ve actually created a project you’ve got even better integration with their online store ( misnomer, as everything currently is free ). The Dashboard is the home page of your game. The game itself is broken up into Scenes and scenes are composed of Actors, Backgrounds, Fonts, Sounds and Tilesets. Created resources are available across all scenes. Atlases are akin to spritesheets in other game engines. It enables you to bundle like minded resources into a single file to improve performance. This is more of an implementation detail, so we wont cover it in depth. Finally Properties enables you to set some critical details of the scene that you otherwise set during creation. Basically Scene is your game level and Stencyl provides a complete and comprehensive level editor with most of the required tools for placement, physics, etc. You will notice at this point that Stencyl is highly configured for creation of 2D tile based games and if your game doesn’t fit this description, Stencyl becomes less and less useful. An actor can contain multiple animations, each of which is composed of frames of animation. You can define as many animations as you desire and each animation you can control the order of frames and the duration that each one lasts. Animation frames use the same interface as loading a tileset. You may notice across the top there are several editor options for Actors available as well. One unfortunately missing feature is the ability to define a collision shape per frame of your animation. This means if the collision volume changes massively as your Actor is animated you will either need to split it into separate animation groups or settle for less than accurate collisions. Hopefully this functionality is added in the future. This is perhaps the most accessible and least confusing physics integration I have ever seen in a 2D game engine. Physics properties are often cryptic and simply figuring out what a particular setting does is an exercise in frustration, especially for new game developers. So bravo for making a complicated subject dead simple. If the purpose of an editor isn’t obvious to you, you can click the How do ____ work button and be brought to a well written help web page. This should keep newer developers from getting overly lost and encourages exploration. As I mentioned earlier in both the Scene and Actor sections, programming is done via Behaviors and Events in Stencyl. Behaviors can be added to both scenes and actors and each is a distinct thing. The same is true for events. If you are coming from another game engine or programming language, Behaviors are analogous to methods or functions and can be re-used ( a scene behavior can be used on several scenes, while an actor behavior can be used across multiple actors ). There is also a variable type named an Attribute, which can be though of the same way you would consider a property. If that made no sense think of it this way… a Behavior makes a scene or actor do stuff, while an Event tells a scene or actor that stuff happened while an attribute stores information about stuff. Programming itself can be accomplished either by using predefined behaviors or by defining your own using a building block type programming interface. Let’s take a look. So you can add functionality to an Actor as simply as adding a behavior to it and an instance of that actor in your Scene. Obviously in this case our animation isn’t ideal as it only makes sense when traveling to the left. Let’s now flip the character if he’s going right. This means our first programming experience. We can do this either in the scene or in the character itself, in this case we do it in the Scene. Edit the Scene, select Events then add a new Event. You can even edit the code using an external editor like Flash Develop or IntelliJ, the process of which I describe here. This turns Stencyl into a rapid development Haxe/OpenFL code generator and you can define the remaining game logic using a traditional programming interface if you prefer. You can also extend the Stencyl editor itself (using Java), as well as create new blocks completely, using Haxe. It’s a good thing this functionality exists too, as it helps make up for one of Stencyl’s biggest flaws… there is no debugger. You can do Print style output to the log which can be viewed in the Log Viewer, but there is very little debugging functionality (breakpoints, watches, etc ) built in. You can however debug your code in an external IDE if you are comfortable working in the Haxe language. One of the impressive features of Stencyl is it’s documentation. Almost none of it is local however, so if you do not have an internet connection you are in trouble. The Stencylpedia is your starting point for help. There is also a class reference for Haxe programmers, as well as guides for programming extensions and more. The quality of the documentation is quite solid, especially the more entry level materials. In addition to the Stencylpedia there is StencylForge, a built-in (free) store for downloading behaviors, actors, scenes, sounds and even complete games. There are a few existing books on Stencyl including Stencyl Essentials and Learning Stencyl 3.1. There is also an active community forum available here. Of course no tool is perfect and there are a few negatives to Stencyl. The first and biggest limitation is it is limited mostly to 2D games with a tileset approach to level design. If you aren’t creating this style of game Stencyl is probably not the right tool for you. Perhaps the most glaring flaw with Stencyl is a memory leak that seems to be present. I often received a message “You have reached 90% of memory usage, please restart”, sometimes quite almost right after loading Stencyl, other times after several hours had passed (it can be fixed though). There have been a few other times where I wasn’t getting the behavior I expected and had to restart to fix things. Saving changes is also quite slow and seems to be an all or nothing prospect. Finally the debugging support is extremely weak. I came into Stencyl expecting one thing and discovered something much different. I had fairly low expectations, a simple click and build type experience that while accessible and easy to use, it would ultimately prove to be quite limited. I was wrong. Stencyl is certainly accessible, and provides a simple drag and drop visual style of programming experience. What I was shocked at was the flexibility, wealth of tools included and advanced coding options. Stencyl is not for everyone; if your game isn’t 2D tile/scene based for example. However if you are just starting out or even if you are an experienced developer creating a relatively simple game, Stencyl might be the perfect tool for you. In fact, Stencyl maybe just maybe became my primary recommendation for new developers looking to get started in game development. It’s an approachable well documented game engine that has a long runway to explore as your skills improve. So I recently did a complete nuke of my primary daily use Android phone, it’s just one of those things you have to do over time as it gets slower, hotter and your battery life gets worse. However, the next time I went to debug on Android, ADB couldn’t find it. This is nothing new of course, on Windows you need to do a bit of a device driver dance sometime to get your phone to work with ADB. This time however it was different. Hmmm, that’s not good. USB device not recognized is certainly a common enough answer, let’s just go install the Google Android USB driver. Well sh…. er, that didn’t work. Well it previously worked, maybe I have an old driver kicking around that needs to be purged. I download the utility USBDeview from here. I certainly have some old or questionable drivers kicking around. I am going to clean house in that regard, the nice thing about USB is you can just install the driver again next time you plug the device in, so very little risk here. Purged the old drivers, scan for hardware changes… nothing. Ok, over to my MacBook, let’s see what happens. Plug in the USB cable… BOOM, instant shutdown. Ok, this is weird. Let me try a different USB cable. Hey, that worked. Cool. Try out “./adb devices” Nothing. Hmmmm, this is confusing as hell. Doesn’t find the device on Windows 8.1 at all, even worse Crashes if I plug in to the right port of my MacBook Air, it “works” if I plug it into the Left USB port, but for charging only. The device simply isn’t found. So, at this point I borrow my wife’s identical HTC One phone and plug it in… HTC Manager works, either port, adb devices shows the device. At this point I can only assume something is wrong with my device… perhaps the connector is broken, but then I can’t explain why it charges successfully, but data doesn’t work. Generally that is a cable or driver situation, but when I can get an identical phone to work and detect just fine, I am absolutely puzzled at this point. The two phones have exactly the same versions… I just did a fresh factory install so I am frankly at wits end. If any of you have experienced this before or have ideas, please let me know! Otherwise I think I’m going to be on the market for a new phone soon.